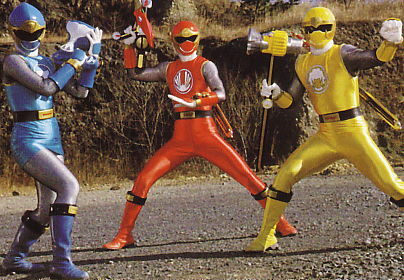 These are the next team of Power Rangers. 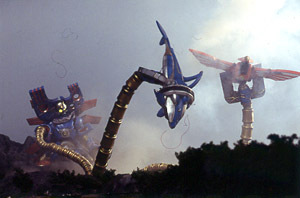 They are called the Hurricangers. 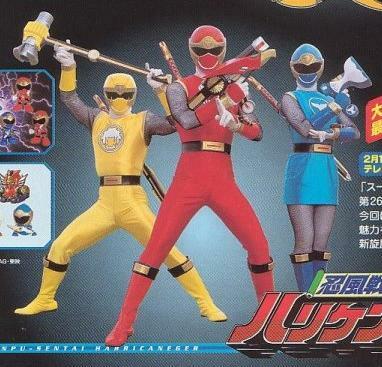 confirmed to be Power Rangers Ninja Storm. 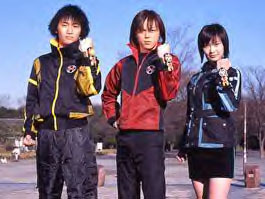 Force) and Go Go Five's (japanese Lightspeed Rescue). 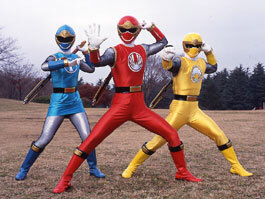 that will face off against the Ninja Storm Rangers before they join the team. 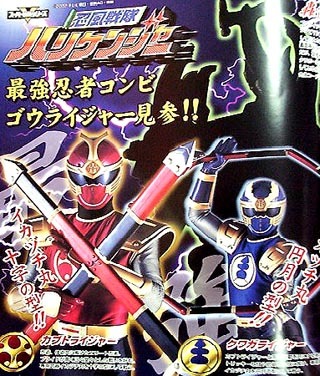 blaster like weapon that transforms into their indivisual weapons. 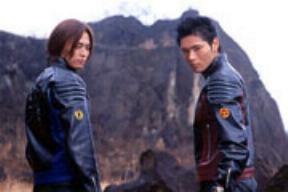 and Red: the Dry Gun. Triple Gadget. 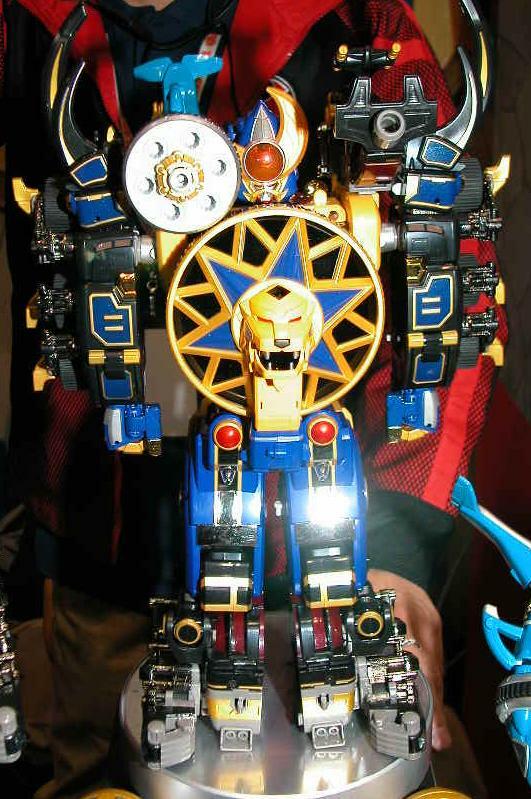 The Triple Gadget appears to have amazing fire power. 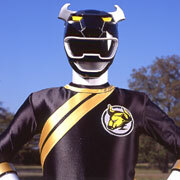 Rangers use to morph. 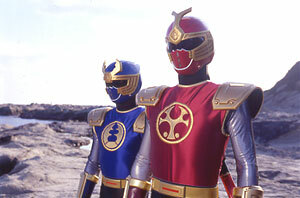 As you can see, they hold their Shinobi Medals. 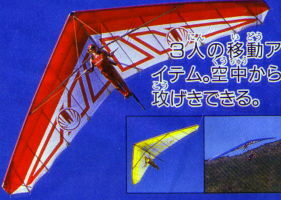 to fly through the sky. 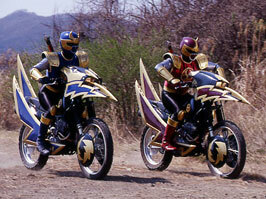 The Shadow Storm Rangers each have the lightning fast Beetle Bikes. 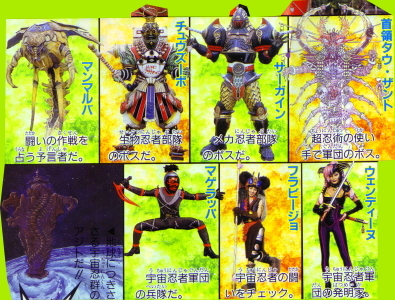 Here are the Ninja Storm Zords. Check them out!! 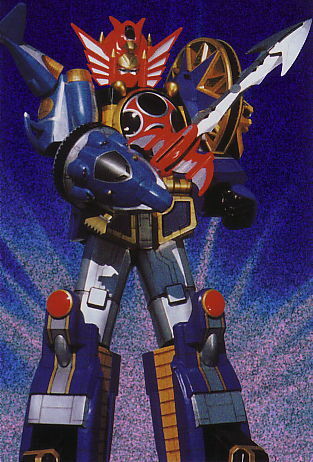 The Ninja Storm Megazord is currently being refered to as the Whirlwind God. 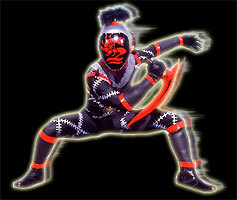 Power Ball #01:  Owned by Red; posesses the Sword Slasher. 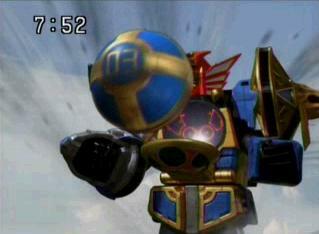 Power Ball #02:  Owned by Yellow; posesses the Goat Crusher. 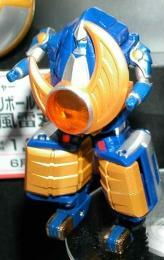 Power Ball #03:  Owned by Blue; posesses the Tortoise Hammer. 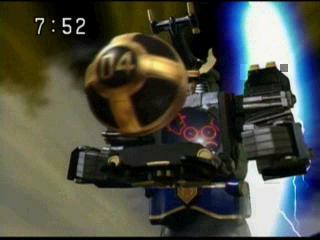 Power Ball #05:  owned by Yellow; posesses the Lion Gatling. 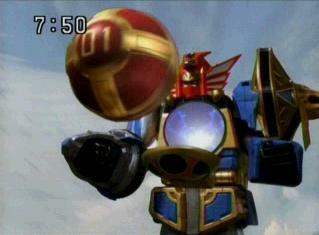 Power Ball #06:  owned by Blue; posesses the Squid Attacker. equipped with a Power Ball that trasforms into the Plant Axe. 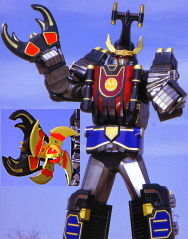 Power Ball #04:  owned by Crimson; posesses the Plant Axe. 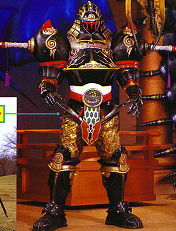 combine into one by becoming its armor. Power Balls #07&08:  Releases the Wind Thunder. 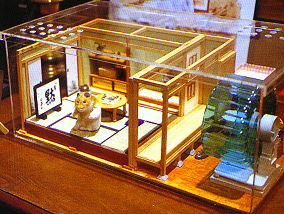 Mugensai's daughter. 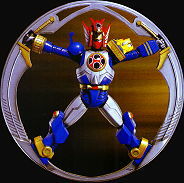 She designs the Hurricangers' weapons. 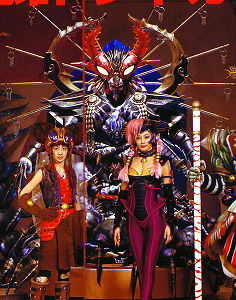 as Shuryou Tau Zanto, who is a giant centipede. 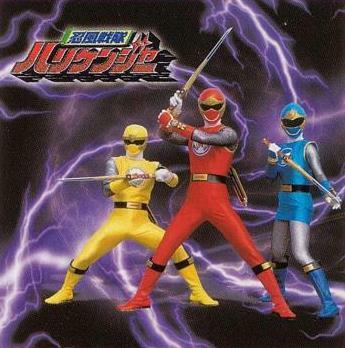 charge of the mecha ninja corps. becomes whatever Jakanja was destroyed. The faceless minions are known as the Kenin Magerappa. 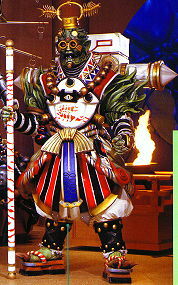 The Parasitic Fortress is a castle where the Jakanja reside in outer space.